Zydeco Louisiana Iris Garden - New Orleans - Come On In. Louisiana Irises are increasingly recognized as native plants well adapted to garden culture. They also make fine water garden or rain garden plants and love aquatic or bog conditions. While sometimes referred to as water irises, their only real requirement is to stay damp and not dry out. Louisiana iris cultivars grow well across the country and the color range is the widest of all the iris groups. Hybrids are derived from five North American species: I. brevicaulis, I. giganticaerulea, I. fulva, I. nelsonii, and I. hexagona. Fulva and brevicaulis occur naturally as far up the Mississippi Valley as the Great Lakes, which largely accounts for the cold hardiness of hybrid cultivars. What Is Zydeco Louisiana Iris Garden? 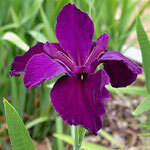 Until 2013, Zydeco was a commercial Louisiana iris nursery selling plants online. Today, it is a cooperative effort between the Louisiana Department of Wildlife and Fisheries and the Greater New Orleans Iris Society. City Park in New Orleans provides growing space for the Garden. Its purpose is to preserve, propagate and promote Louisiana irises and to make plants available to parks and other entities that will display them for public enjoyment and education. Special emphasis will be placed upon conserving both the various forms of the five species and old, historically important cultivars that can still be obtained. This site is designed as a hub for resources on Louisiana irises. 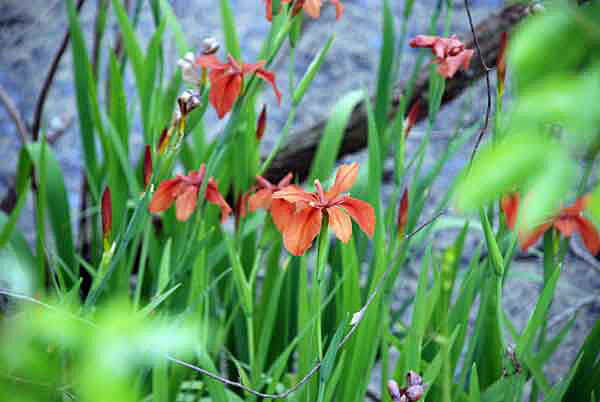 It offers a wide range of information, pictures, recommendations and links on "Louisianas," as these irises are called. Take a look. Zydeco Louisiana Iris Garden formerly sold the hybrid introductions of Patrick O'Connor of Metairie, Louisiana, as well as irises from many other hybridizers. This Gallery previously was a catalog but now serves as a source of information on individual cultivars. Watch for the addition of new cultivars to the list. Suggestions and comments are welcome. The natural history of the five native species that comprise the foundation of the modern Louisiana iris hybrids. Many pictures, including wild irises in their natural habitats. An extensive compilation of articles, pictures, and references on Louisiana irises, with an emphasis on their beauty and usefulness in the landscape. The 2013 season was the last in which Zydeco had a catalog as part of a commercial iris operation. 2014 begins a transition to a new entity based upon a cooperative enterprise and the help of volunteers. The Zydeco website will continue as a source of information on Louisiana irises and the progress of the new effort. Conversion of some parts of the site might take a little while. In the future, Louisiana Iris Gardens will handle the introductions of Patrick O'Connor. Louisiana Iris Gardens can also be found on Facebook. Take a look at the new page on the Louisiana Iris Species Preservation Project sponsored by the Society for Louisiana Irises and the Greater New Orleans Iris Society. Recommended growing practices and propagation techniques for different regions and under varying conditions. Links to relevant information on other sites. The Society for Louisiana Irises, an outstanding organization highly recommended as an ongoing source of information, particularly through it's web site and quarterly magazine Fleur de Lis.